When the paint is dry, carefully cut two eyeholes. Cut a 'crown' and a wattle (beard) from red card and glue on to the plate. Cut a beak from yellow card and glue on. 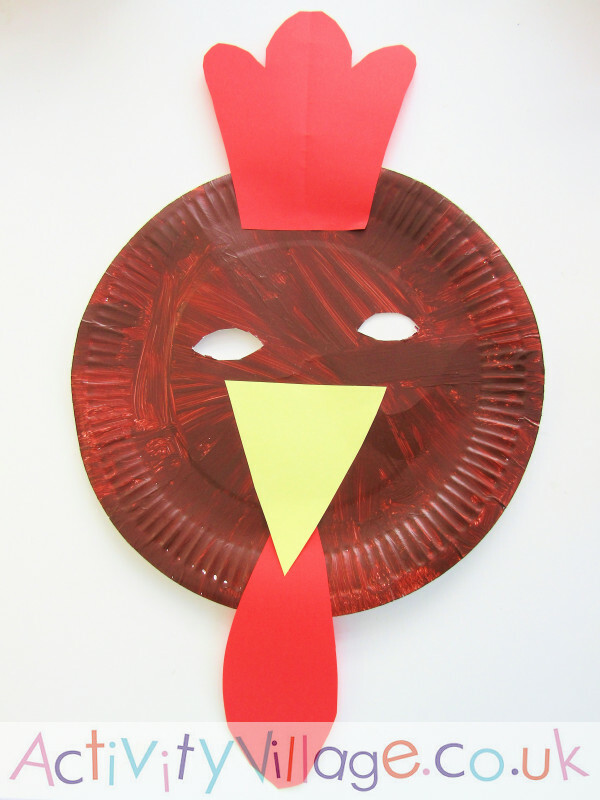 For your child to wear the rooster mask, either make a hole on either side of the plate and tie some elastic through, or tape a craft stick to the bottom of the plate so that the mask can be held in front of your child's face.